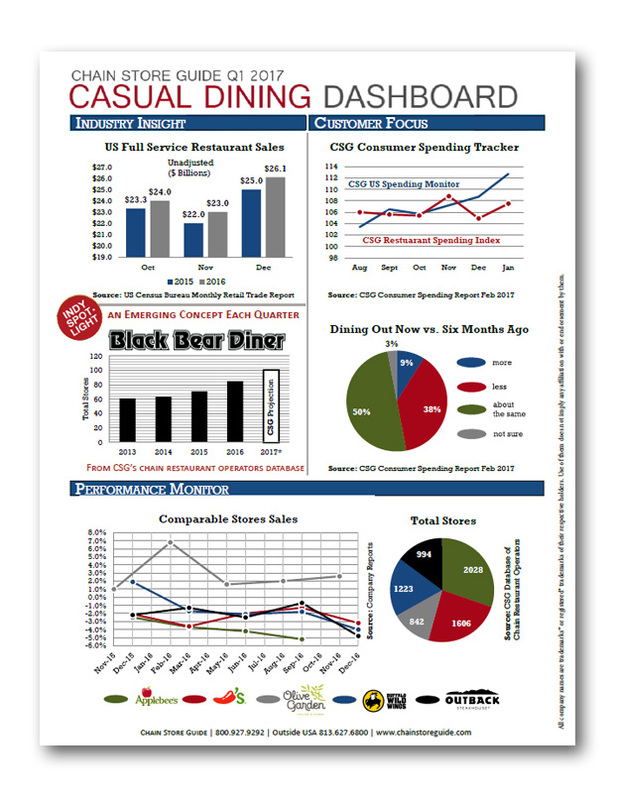 This month, Chain Store Guide introduces the first CSG Casual Dining Dashboard. Each quarter, the CSG Dashboard will bring you a visual representation of the state of casual dining via restaurant-industry sales data, CSG consumer polling results, at a glance performance data from top casual chains and a look at an up and coming concept in the Indy Spotlight section. The information on this dashboard is derived from CSG’s vast database of retail & restaurant market data and geo coded locations. Keep an eye out for the first CSG QSR & Fast Casual Dashboard coming next month, another quarterly feature that leverages CSG data to provide an engaging look at the restaurant industry.